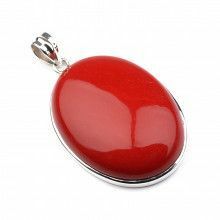 This absolutely gorgeous pendant features a wonderful contrast of colors. 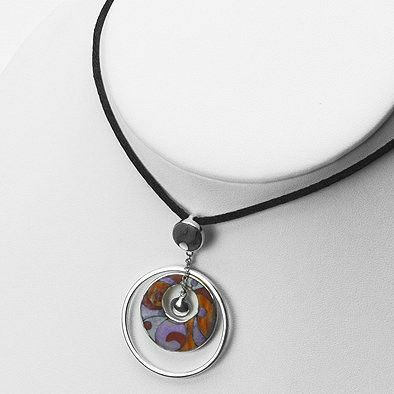 It showcases an inlay of mother of pearl, sugilite, red coral, and orange spiny oyster shell. The natural beauty of these stones contrast against the shimmering shinning nature of genuine .925 sterling silver. 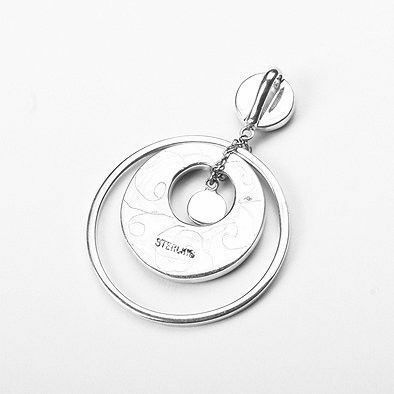 A great piece for any occasion, this pendant measures 2" long by 1 1/2" wide. Measures: 2" x 1 1/2"